In less than a month, more than 3,000 nurses, physicians, and others will be gathering in Phoenix, AZ to attend The Annual Assembly of Hospice and Palliative Care (PDF Brochure here).The Assembly returns to Phoenix for the first time since the 2004 meeting, which also happened to be my first Annual Assembly. The 2004 meeting was held in a small resort (Tapatio Cliffs!) a little north of Phoenix. This year we are in the main convention center because it has grown so much over the years. This year's Annual Assembly is special to me for another reason...I'm actually the president of the American Academy of Hospice and Palliative Medicine (AAHPM). In 2004, I realized the importance of the Academy, and the strength of this conference. The people I met in the Professionals-In-Training Special Interest Group, the quality of the talks, the accepting and kind nature of the leaders and speakers...all of it made me certain of my career choice and my desire to serve the field. As the staff of the Academy and HPNA put in their many hours to help pull this off in the weeks running up to the Assembly, I want to pause a moment to thank them. If you talk to them before the conference or see any staff there, please make sure to show your appreciation. Seeing things from behind the scenes makes me so respectful of the challenges they face and the miracles they pull off. In the next few days, I will highlight what I'm excited about and would love to hear from you what you are ready to see. Today will be an overview of the whole conference and new (or overlooked) things that I think people should try to check out. In later posts, I will take each day and break down some of the highlights. As president, I will only be able to go to some of the talks, as there are other meetings happening all through the conference that I need to attend, so I am looking to all of you to help me know how things turned out. Plus, we are looking for Pallimed correspondents who can summarize their experience with teaching points to share with our readers soon after the conference. The talks that lead off each day are called plenaries (singular, plenary). I will be honest...it took me a few years to figure out what the heck a plenary was. So I did find it funny/helpful that there is a box describing what the different types of sessions are in the main conference brochure. On Wednesday night we start off with an energizing experience with The Drum Cafe. Yeah, I know a bunch of you may be rolling your eyes imagining drum circles during your college days, and the apprehension of feeling awkward because you believe you have any rhythm. But there is something magical in the making of music together. 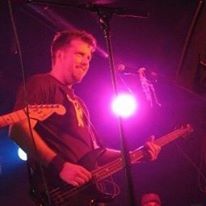 During residency, I was in a rock n' roll cover band called...wait for it...Failure 2 Thrive. It was made up of a bunch of pediatric specialists and me a future palliative care doc. I didn't pick the name! The music we played was not complex, but man did it feel great making music together. I'm sure any of you that have been in band or a choir, or maybe even theater know the feeling I am talking about. It doesn't have to be high art, but it feels really good. I'm confident The Drum Cafe will get us all feeling that good at the start of the Assembly. Off course to end the Assembly we have the State of the Science, which always manages to combine quick analysis of landmark research, with plenty of humor. Nick Dionne-Odom and Cardinale Smith will lead this crowd-pleaser session again this year. 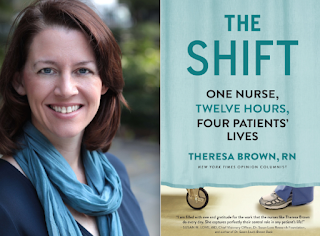 On Thursday morning, Theresa Brown is a palliative care nurse with a Ph.D. in English. You may have seen her in The New York Times or read her book The Shift. I have not read the book yet (just downloaded it though! ), but she did an interview with Terry Gross on NPR's Fresh Air which I enjoyed, especially her advocacy for nursing. On Friday, we have BJ Miller who has really rocketed to the spotlight since his 2015 TED talk. I first met BJ at the 2014 AAHPM Awards, when he was given the PDIA Community Leadership Award. I'm very glad to see his unique story making a larger impact. He will be joined by Paul Bennett, the CEO of the innovative design company OpenIDEO, which tackled 'Redesigning the End-of-Life Experience' in 2016. First-timer receptions - If this will be your first time at The Annual Assembly, then make sure not to miss the special receptions for AAHPM and HPNA on Wednesday right before the Opening Reception. Many leaders in the field will be there to welcome you, and you will meet a lot of other people who are excited to be there. Job Fair - Sure, you're happy in your current position, but the field is growing. Take a stroll through the job fair and see what places are hiring. It is always good to know your value to the larger market of in-demand hospice and palliative care professionals. It may help you negotiate for a better role or benefits in your current position. Book Club - If you have never tried the Assembly book club, THIS IS THE YEAR to do it. The book is When Breath Becomes Air by Paul Kalanithi. You know the book you have been wanting to read, and maybe even bought, but have found it hard to pick up and read because you know that it will hit very close to home and you already know how it is going to end. READ IT. You will be better for it, and then come to the Book Club to discuss! Service of Remembrance and Celebration - Oh! This session is so powerful every year. You really should go if you have not been before. 'But our team is meeting for dinner on Friday night', you say. Reschedule it. This service grounds me each time I go. I love how the staff is able to incorporate unique aspects of the city and culture where the conference is held. #hpm17 on Twitter - Starting in 2009, the Annual Assembly has grown a strong presence on Twitter with people sharing key points from talks and building community with good conversation, memes and emojis. I've used it to take notes on talks that I haven't been able to make, and even to help me decide which talk might be the best to go to. I'm hoping we will have a new Twitter primer ready to go before the conference. And yes the Pallimed/GeriPal party is happening. details are still being hammered out. Announcements will be made on all Pallimed social media channels soon. Likely Thursday night. Don't forget to join up with other Pallimed readers going to the Annual Assembly on the Facebook Events page. Christian Sinclair, MD, FAAHPM is the editor of Pallimed, president of the AAHPM (for only three more weeks! ), and a medical conference nerd.